An agreement has been signed to bring two giant pandas to Edinburgh Zoo, the first to live in the UK for 17 years. The deal was signed at Lancaster House in London by the Royal Zoological Society of Scotland and the Chinese Wildlife Conservation Association. It was witnessed by Deputy Prime Minister Nick Clegg and Vice Premier of China Li Keqiang. Tian Tian and Yangguang, a breeding pair born in 2003, will be under the custodianship of the zoo society. The project represents the culmination of five years of political and diplomatic negotiation at the highest level and it is anticipated the giant pandas will arrive in their new home as soon as a date is agreed. 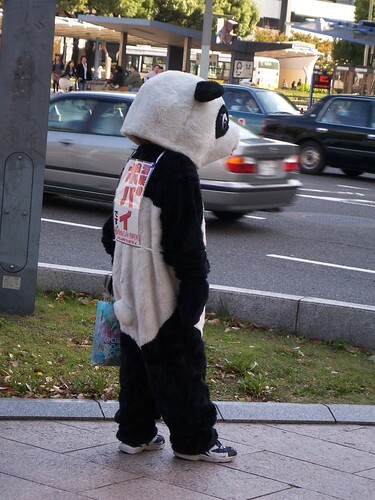 This entry was posted in Influence and networks and tagged china, FCO, foreign office, panda by David Steven. Bookmark the permalink.